Young took cues from the home's architecture to refine the space while filling it with fresh decor. The floors are brick laid in sand, while large plank wood ceilings lie overhead. 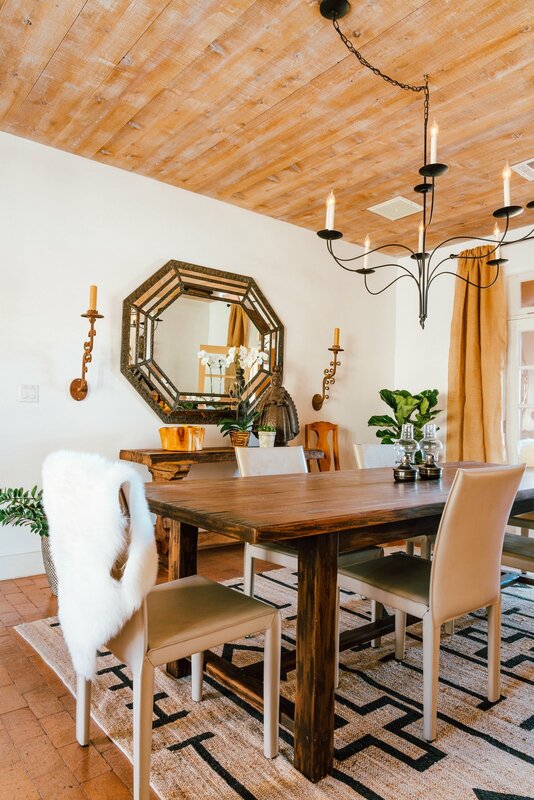 Adding to the neutral palette, the dining room is teeming with textures.